Oscar and Emmy winning composer Jerry Goldsmith has long been considered one of Hollywood's most respected and admired creators of music for motion pictures and television. The composer of such classic scores as Chinatown, Patton, Planet of the Apes, The Sand Pebbles, A Patch of Blue, Poltergeist, Basic Instinct, Papillon, Rambo, Rudy, Gremlins, Mulan, L.A. and Confidential, Goldsmith was sought-after by filmmakers, acclaimed by critics, and adored by the Hollywood music community. He received 18 Academy Award nominations, winning the Oscar in 1976 for his powerful orchestral and choral score forThe Omen.Two of the American Film Institute's top 25 film scores of all time are by Goldsmith: Chinatown and Planet of the Apes. Goldsmith was nominated seven times for an Emmy and won five Emmys for his television music, including the landmark miniseries QB VII (1975) and Masada (1981), the TV-movies The Red Pony (1973) and Babe (1975) and the theme for Star Trek: Voyager (1995). He also received nine Golden Globe nominations for his film scores and seven Grammy nominations for the soundtracks of his various TV and movie scores. Goldsmith's music is played virtually every hour of every day around the world. This is in part due to his many contributions to big and small screen incarnations of the legendary Star Trek. He scored five of the movies for the franchise, and his heraldic theme for Star Trek: The Motion Picture(1979) became the well-known signature for the long running TV series, Star Trek: The Next Generation. During his career in Hollywood which spanned over 50 years, Goldsmith composed the music for nearly 200 films, over a dozen iconic TV themes, and another 20 TV movies and miniseries. No composer was more respected by fellow practitioners of his craft ("he scares the hell out of us," an admiring Henry Mancini once said) – as much for his unerring dramatic instincts as his innovative and even groundbreaking application of many different musical sounds and styles. 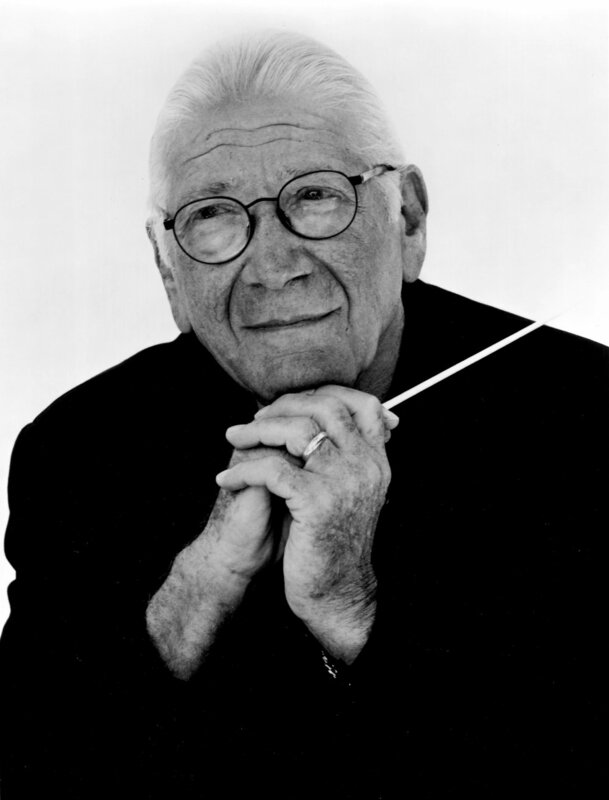 Jerry Goldsmith was born February 10th, 1929 in Los Angeles, California. Classically trained, he studied piano and composition from a young age and was, from the time he was a teenager, determined to write music for movies. After studying at both USC and Los Angeles City College, he went to work at CBS, which employed him as a composer for radio and TV throughout the 1950s. His first feature film score was written in 1957, although he continued to work in TV through the 1960s and early 1970s. For television, he composed scores and familiar themes including Dr.Kildare, The Man From U.N.C.L.E., Hollywood Television Theater (PBS) andThe Waltons,as well as scoring episodes of classic series including The Twilight Zoneand Gunsmoke. In addition to his busy film and TV schedule, Jerry Goldsmith also composed for concert halls. His symphonic works include a cantata, Christus Apollo (1969)with words by Ray Bradbury, narrated by Charlton Heston and later by Sir Anthony Hopkins; Music for Orchestra (1971), commissioned by the St. Louis Symphony and Fireworks:A Celebration of Los Angeles (1999), commissioned by the Los Angeles Philharmonic. Immediately in response to attack of 9/11, Jerry Goldsmith composed an in memoriam. The elegy, September 11, 2001, was performed at the Hollywood Bowl just days after the tragedy. Notably, in 1998, he was commissioned by the Academy of Motion Picture Arts and Sciences to create an anthem for its annual awards ceremony. Goldsmith’s Fanfare for Oscar debuted at the 70th annual Academy Awards and is still heard every year during Oscar telecasts. Goldsmith received many honors during his lifetime, including Variety'sAmerican Music Legend Award (1995); an honorary doctorate from Boston's Berklee School of Music (1990); lifetime achievement awards from the American Society of Music Arrangers and Composers (ASMAC 1990,) and the Society for the Preservation of Film Music (1993); two governors' awards from the National Academy of Recording Arts and Sciences (NARAS 1994,1999); and an honorary membership in London's Royal Academy of Music (2003). In addition to these accolades, Jerry Goldsmith is immortalized with astatuette in his likeness awarded at Spain's International Film Music Festival. Each year for the past decade, the festival’s highest honor, “the Jerry” is given to an individual for excellence in the art of film music. Giving back to the community that nurtured him and launched his career, Goldsmith began teaching in the 1990s: as the instructor of the Scoring for Motion Pictures and Television course at the University of Southern California, and then also as a Regents Lecturer in the Department of Music at the University of California at Los Angeles. He became a Visiting Professor at UCLA, teaching a yearly composition class. Additionally, in a mentoring capacity, he conducted the Young Musicians Foundation Orchestra, the Henry Mancini Institute Orchestra, and the Disney Young Musicians Symphony Orchestra.